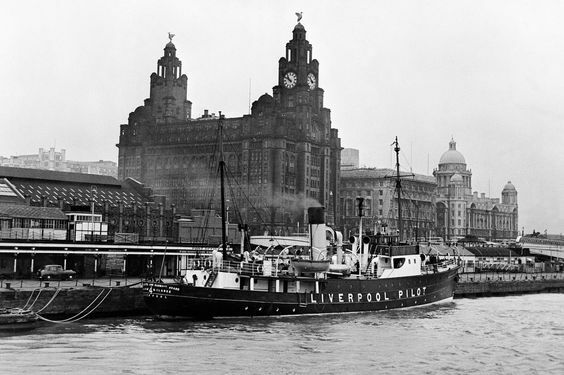 Bootle Times - Past - Present - Future • View topic - Photos of Ships that have used the Port of Liverpool Docks. 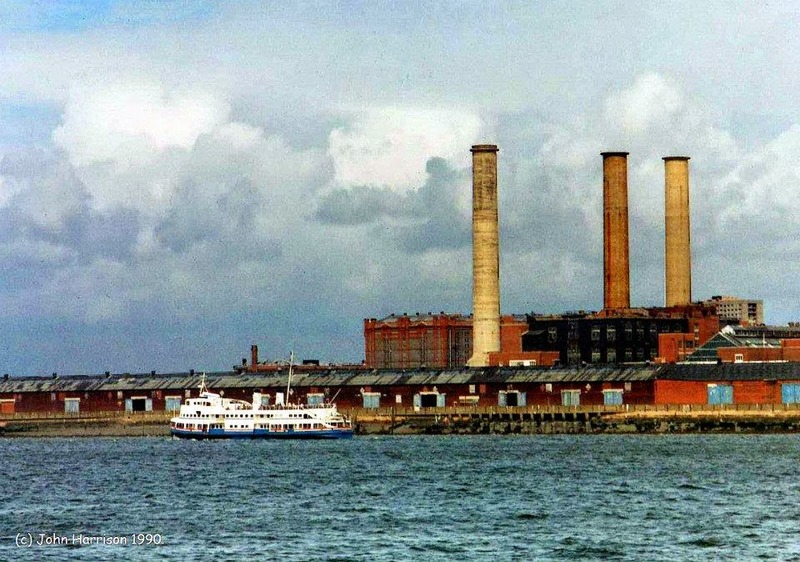 Photos of Ships that have used the Port of Liverpool Docks. 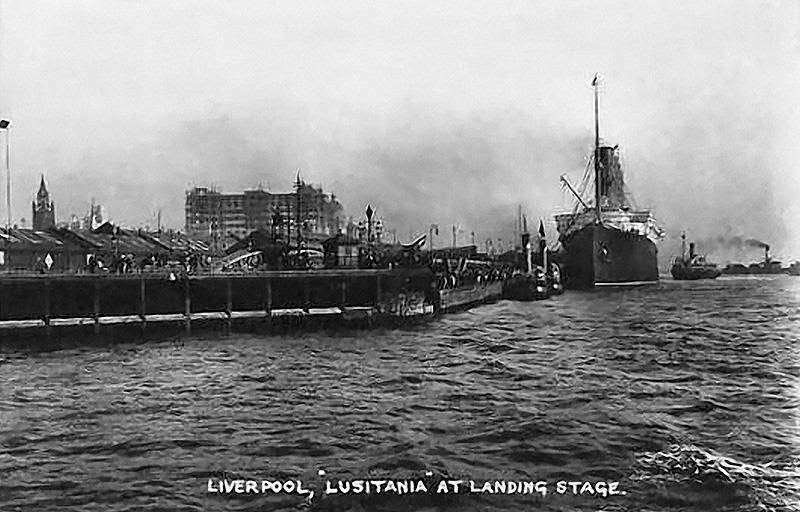 Lusitania in Canada Dock, Liverpool 18 July 1907. H.M.S. 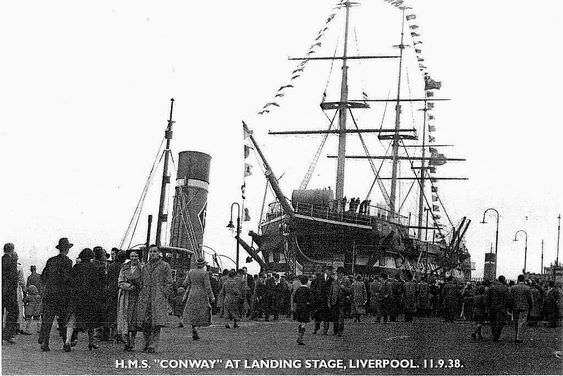 Conway at the landing stage Liverpool 11/9/38. 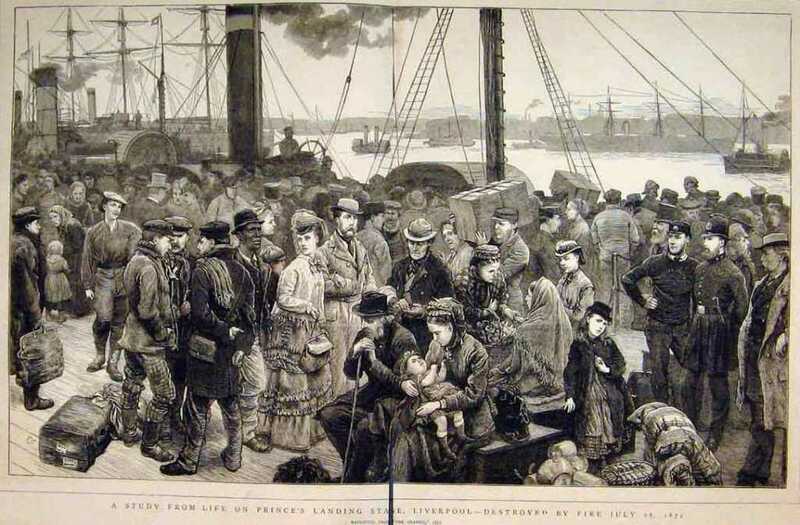 Liverpool staging area, 1874 Prince's Docks. 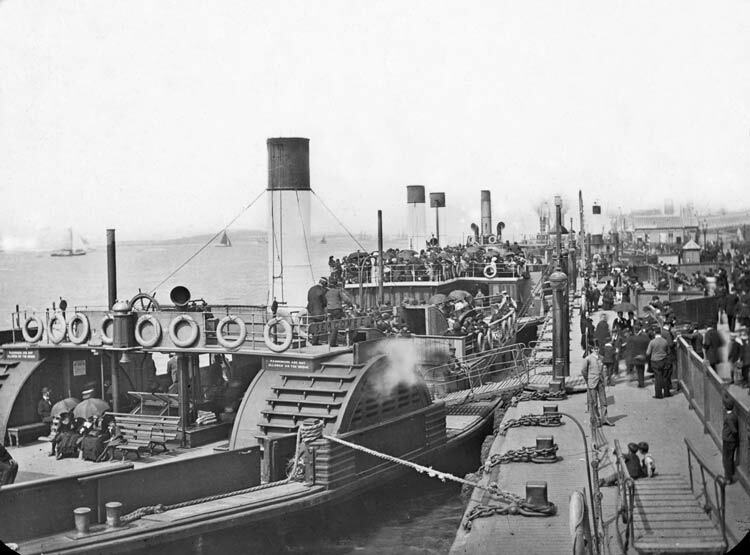 The BRITANNIC being assisted by Alexandra tugs from her berth in Liverpool's Gladstone Dock into the river entrance lock. 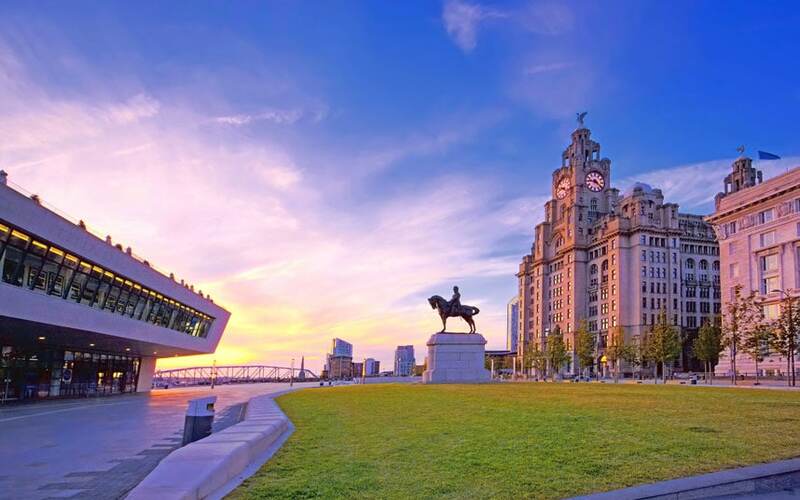 Dawn at the Pier Head and the Royal Liver Building on Liverpool's waterfront. That looks like the sunset, Joe? Sorry about that Phil, I'll put it down to a senior moment. RMS Lusitania at Sandon Dock 1907. 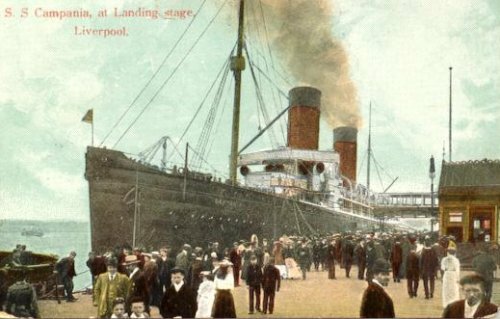 Lusitania, at the landing stage 1910. It looks like the liver building is in the process of being built. 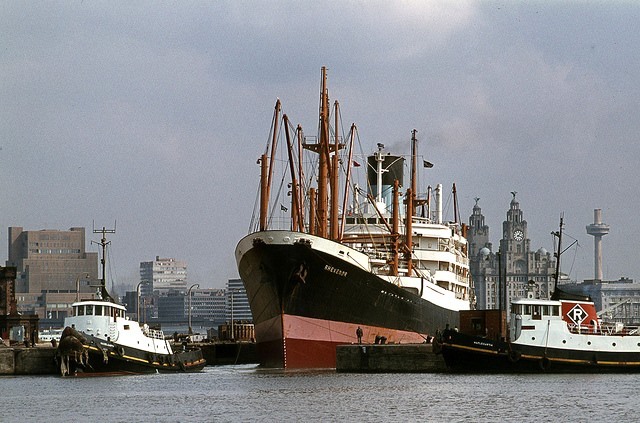 Blue Funnel Line 'Rhexenor' (1960) gets taken though the locks opposite the Liver Building April 1977 Liverpool. pic by David Christie. 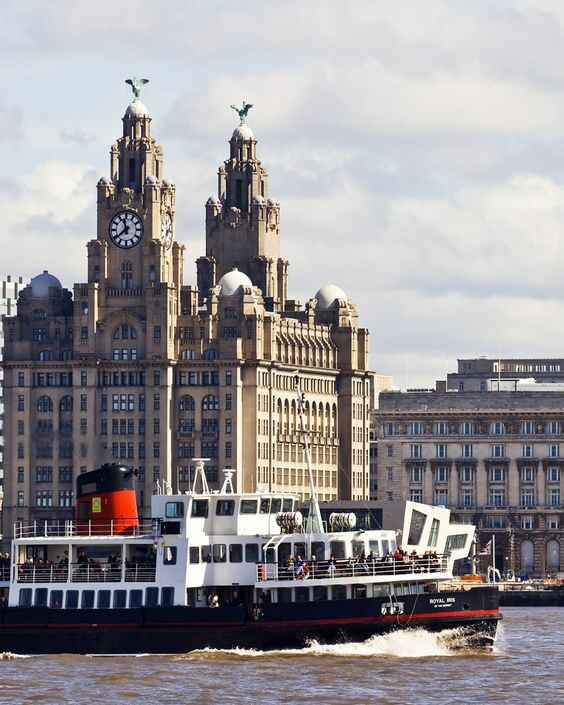 Mersey Ferry Boat and Liver buildings, Liverpool. 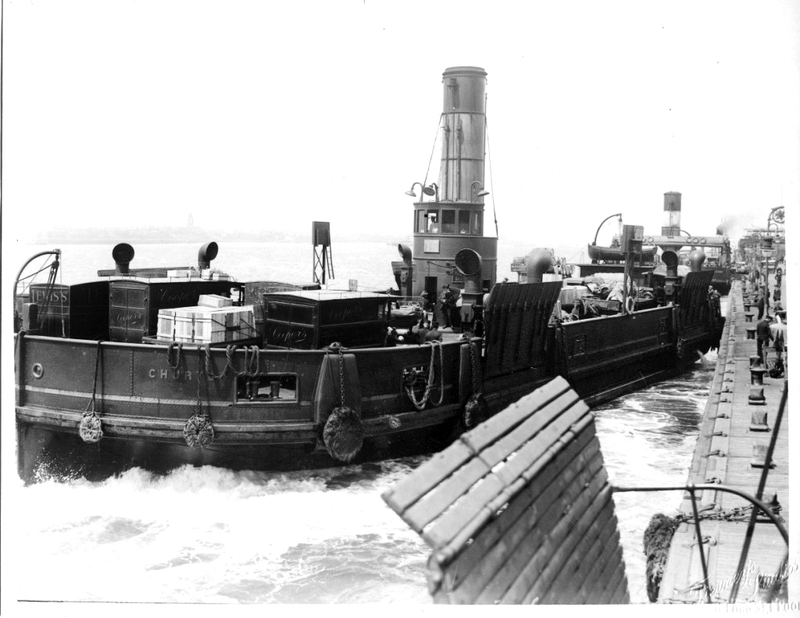 Mersey Paddle Ferry no date. The REINA DEL PACIFICO at anchor in mid-Mersey off the Pier Head. In the foreground is Birkenhead Woodside ferry terminal. S S Campania at the landing stage. 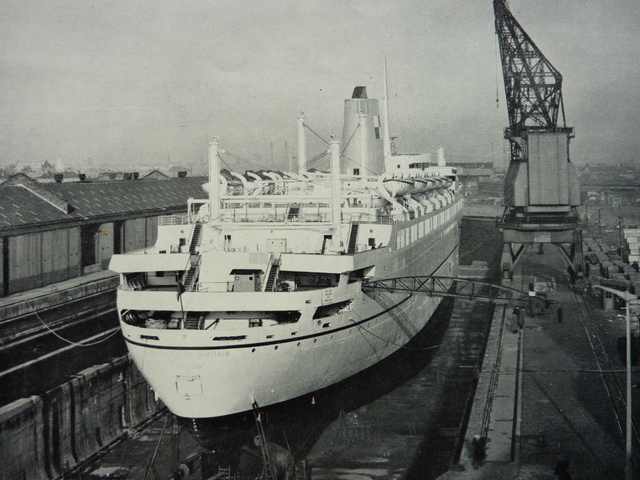 Canadian Pacific Empress of Britain in the Gladstone drydock. 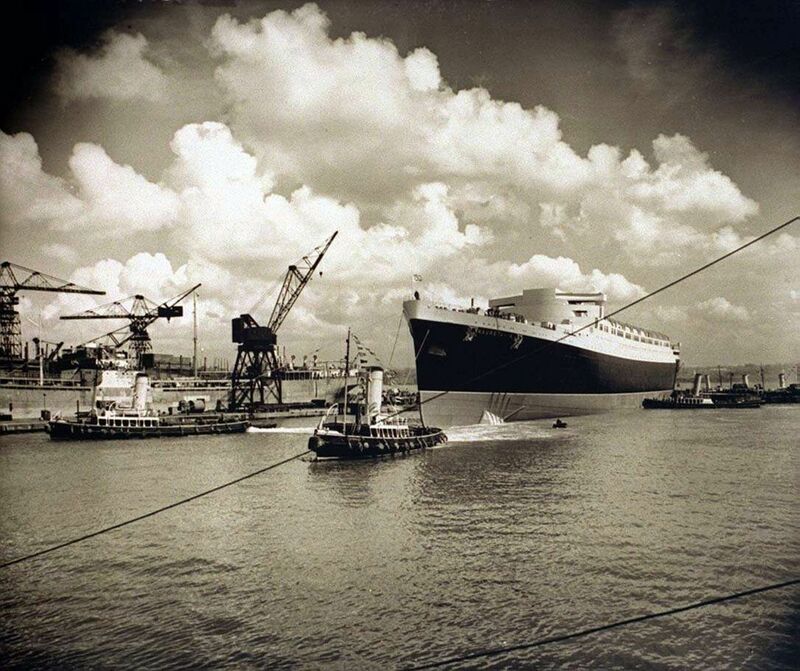 The RMS SYLVANIA on the River Mersey in 1965. 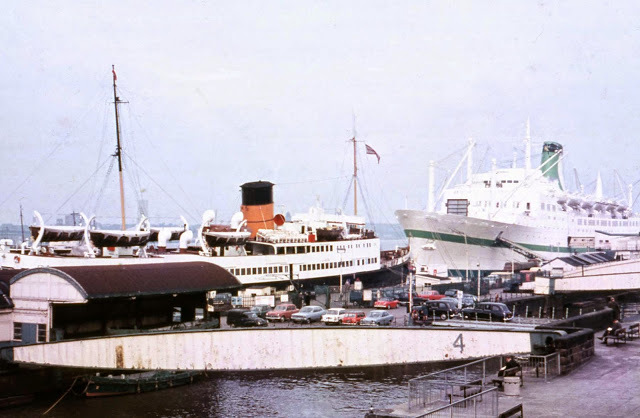 The Sylvania was built in 1957 and the 4th and last of the Cunard Line ships of the Liverpool based Saxonia class shipping vessels for the Liverpool to Quebec, Montreal passage via Greenock in Scotland. 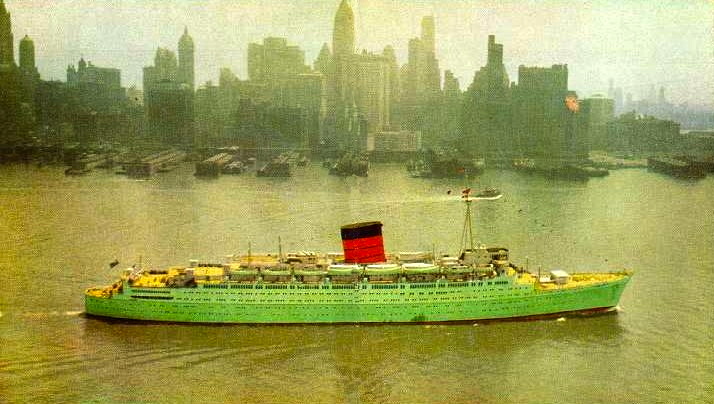 She did the last passenger trip to New York in 1966. 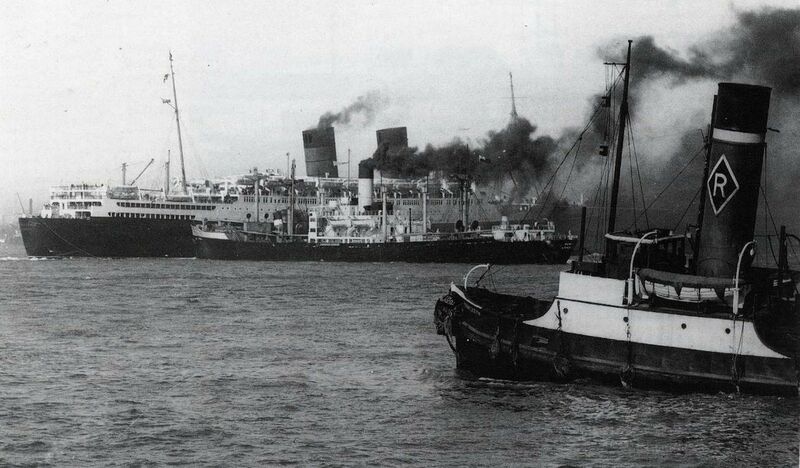 Cunard's Mauretania(rear) in a near collision with Blue funnel's Memnon in mid-Mersey, while avoiding wartime wreck of SS Ullapool. April 1947. Thanks for that Lynne, I downloaded that some years ago it might've been from the Echo? RMS Empress of Canada was an ocean liner built in 1961 by Vickers-Armstrongs, Walker-on-Tyne, England for Canadian Pacific Steamships Ltd. This ship, the third CP vessel to be named Empress of Canada. 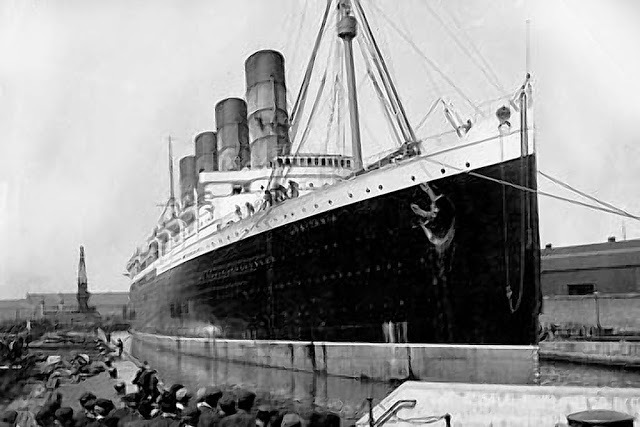 Empress of Canada was planned for the transatlantic route from Liverpool to Canada for the Canadian Pacific Line. She was a slightly enlarged sister ship and running mate for Empress of Britain and Empress of England on the route from Liverpool to Montreal. During the months that the St. Lawrence was frozen (typically November to April) the ships sailed from Liverpool To St. John, New Brunswick. After completing 121 transatlantic voyages and 82 cruises for the Canadian Pacific line she made her final arrival at Liverpool on November 23rd 1971, thus closing for good the Liverpool-Canada link. 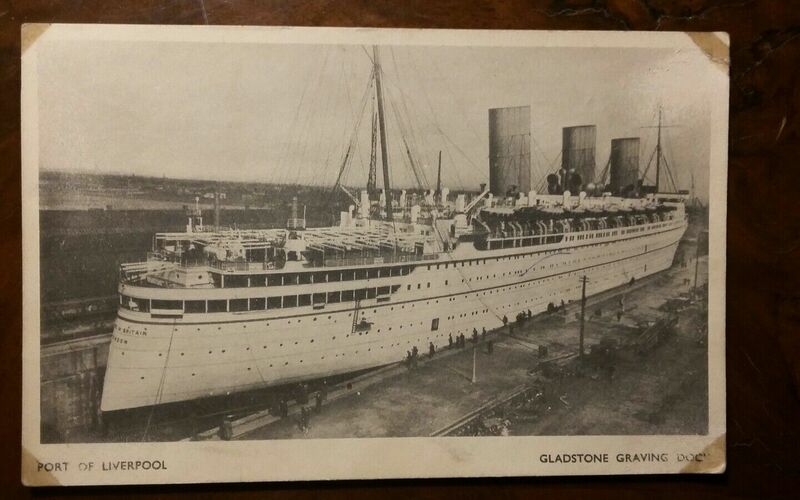 She remained at Liverpool until December 14th and then sailed for London's Tilbury docks for lay-up, arriving (for the first and only time) at her port of registry on December 17th. The port of Liverpool Merseyside Docks and Harbour Board, Pilot Ship at the Pier-Head. Joe. I appreciated the photos. 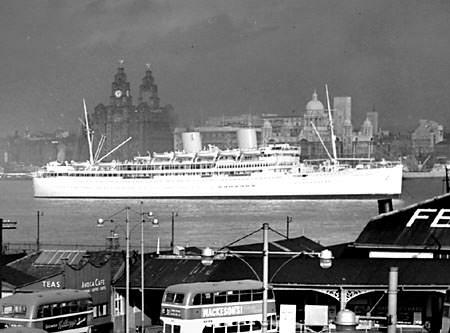 Good to see the old ferries, pilot, larger ships, Pier Head and even the Ugly Sisters. Walshy. You must see a few big ships down your way Walshy. I love cruising from there and enjoy the Port activities. Walsh wrote: Joe. I appreciated the photos. Good to see the old ferries, pilot, larger ships, Pier Head and even the Ugly Sisters. Walshy. Liverpool, on 3rd March 1956. Good memories for you Ken. 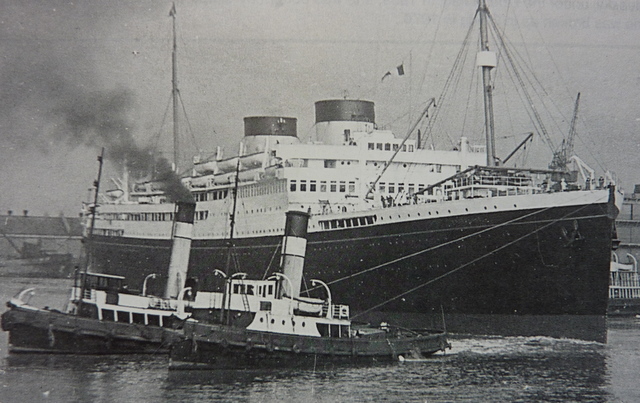 The launch of the Mauretania from Cammell Lairds in 1938. The ship is still without its funnels. 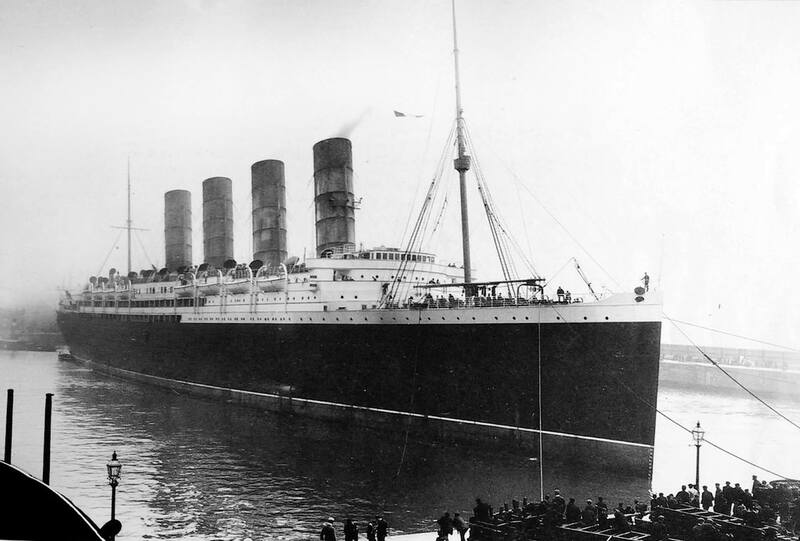 Cunard Line’s RMS CARONIA – The most famous liner in cruising history. she was the “millionaires yacht”! She was nicknamed the “Green Goddess” by the people of Liverpool because her livery resembled that of the local trams, also known as “Green Goddesses”. 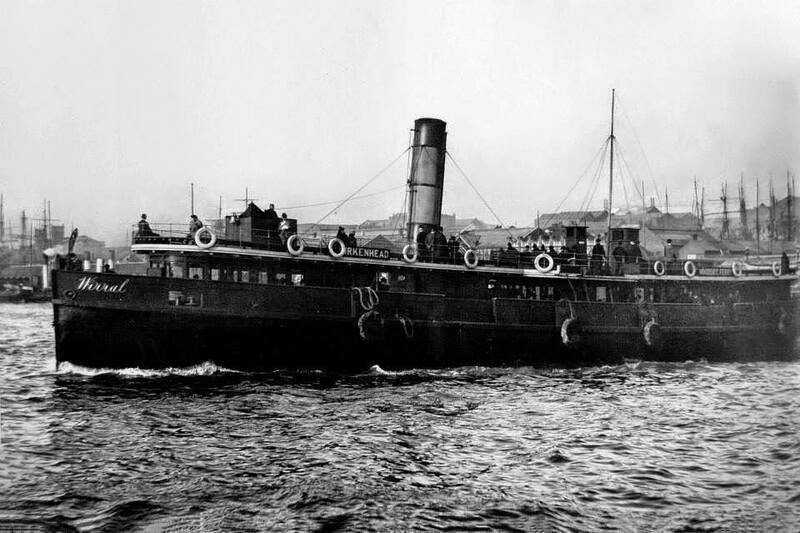 She is credited as one of the first “dual-purpose” built ships. 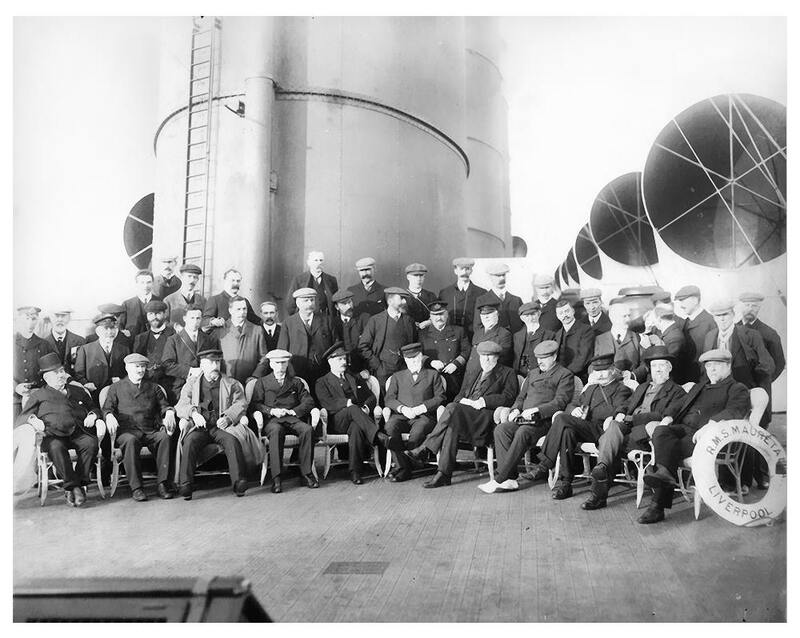 Some of the Crew of the Mauretania, circa 1907. 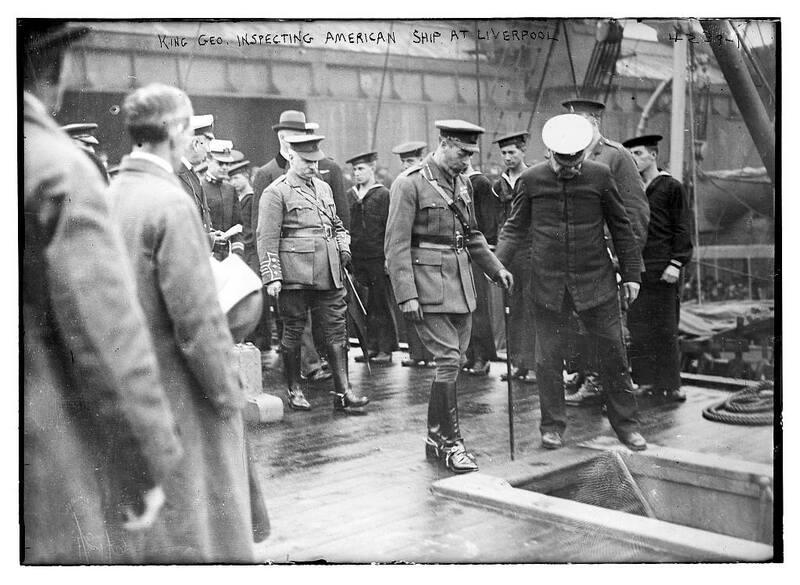 King George V Inspecting the armament of the American troop transport Finland. At Liverpool docks during World War 1, 1917.